Vangi began performing seriously in 2005 but has been writing most of her life. She had her first real break performing at Rhyme Alive at the Moonbox Theatre in Pretoria (2005), where she shared a stage with (amongst others) Lebo Mashile. 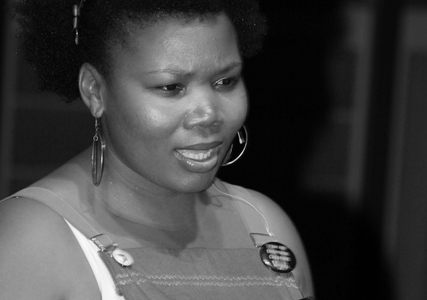 Since then she has been privileged enough to perform alongside Makhosazana Xaba, Natalia Molebatsi, SALA Poetry recipient Phillippa Yaa De Villiers and Def Poetry poet Saddi Khali to name a few.